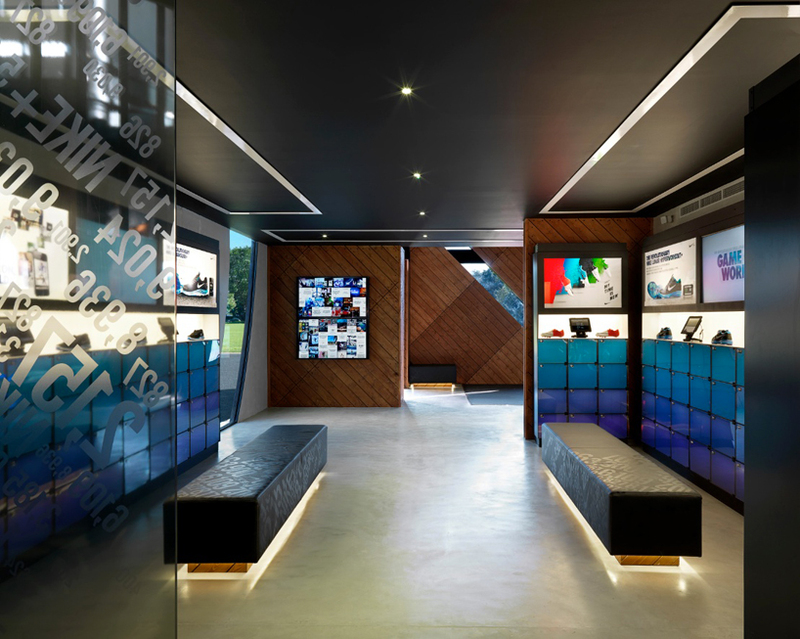 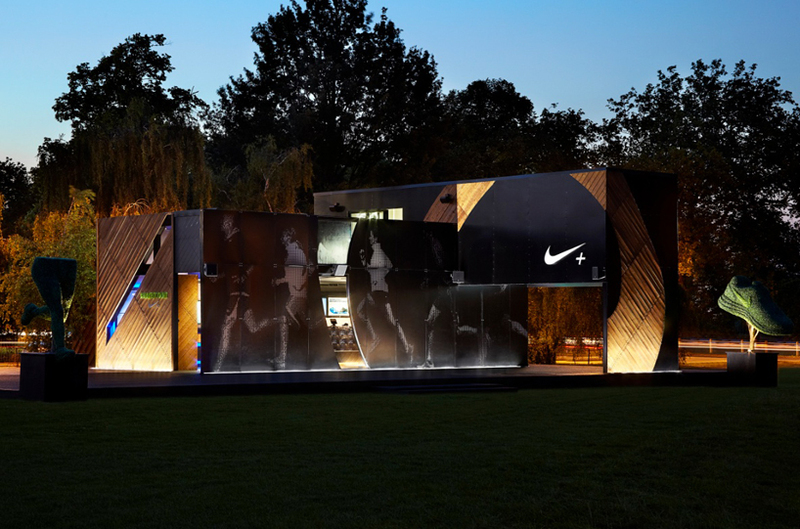 The new nike+ fuelstation clubhouse is a 384m2 space that was designed in-house by the nike brand to motivate london's athletic community. 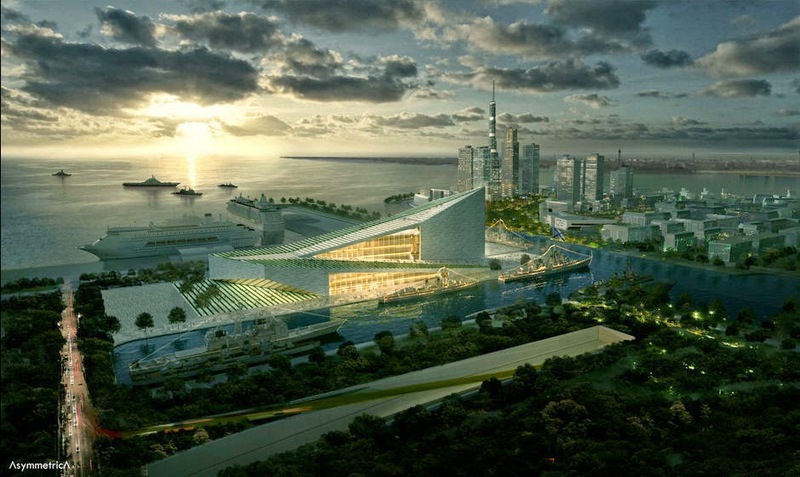 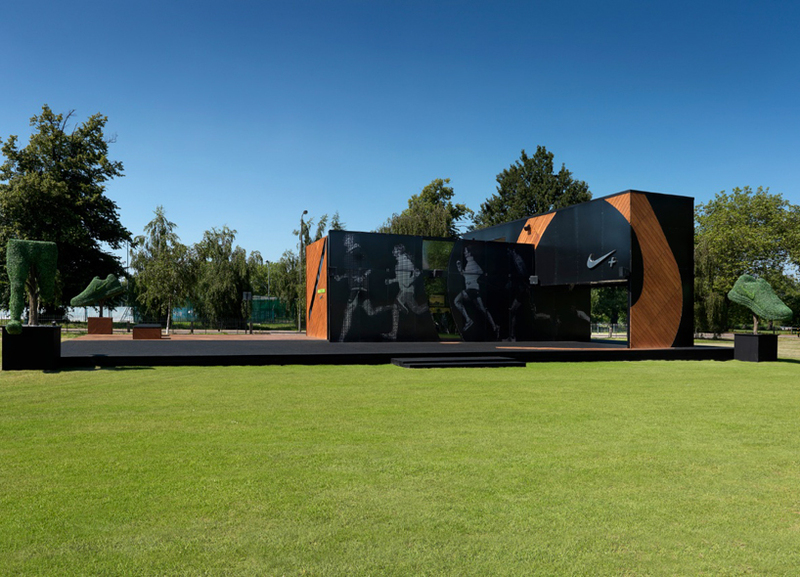 combining design and architecture with sustainable features, the venue includes exterior floors created using raw material made from recycled athletic shoes known as nike regrind. 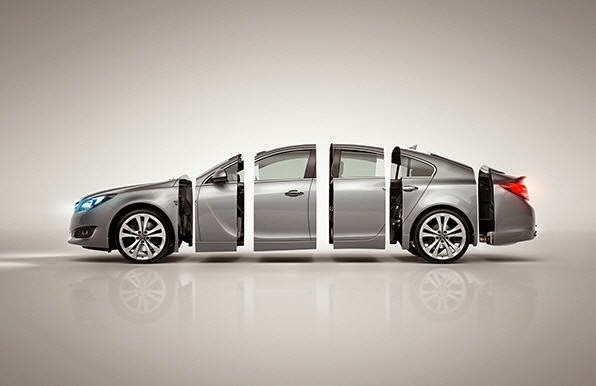 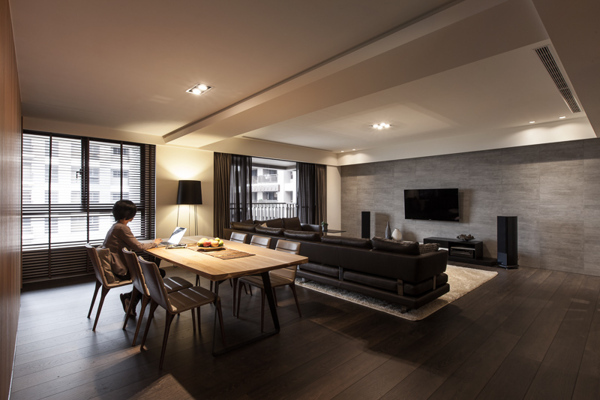 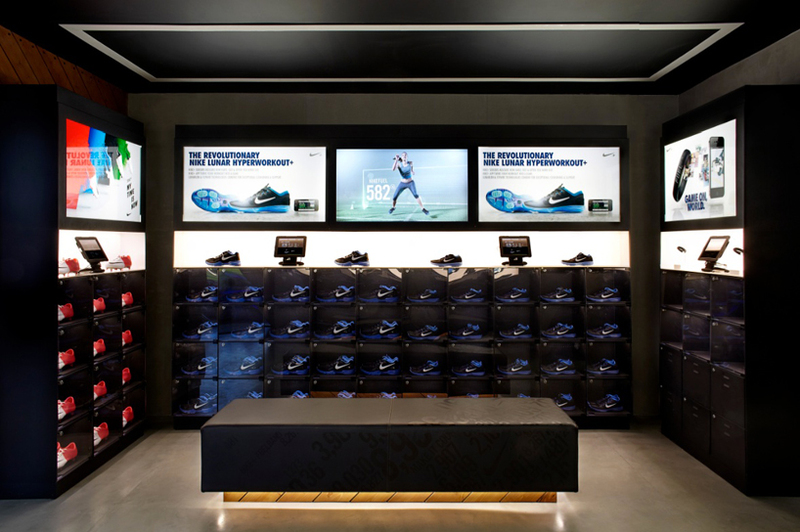 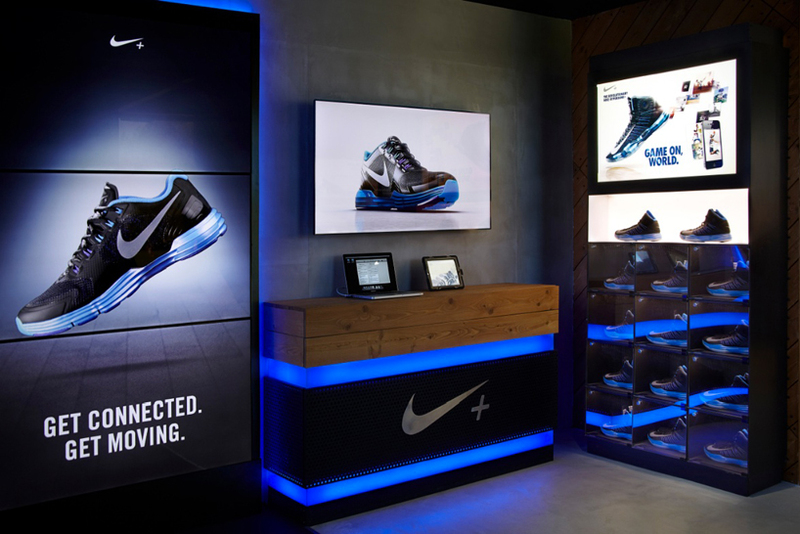 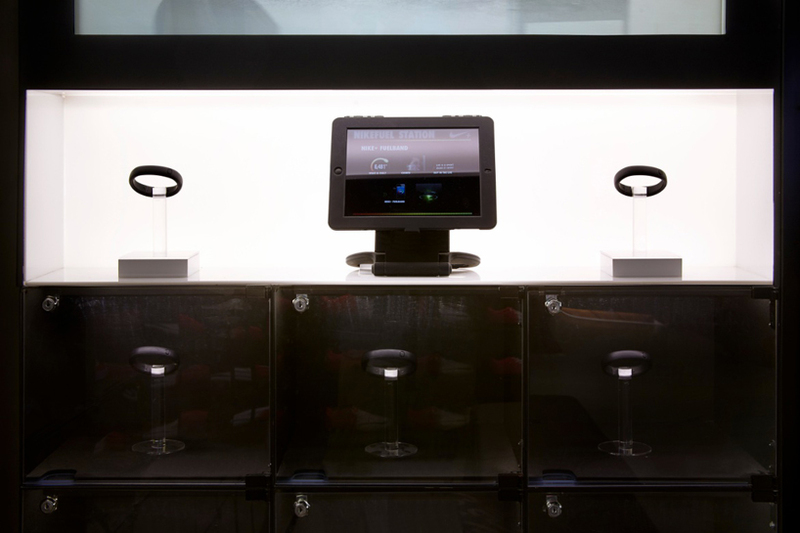 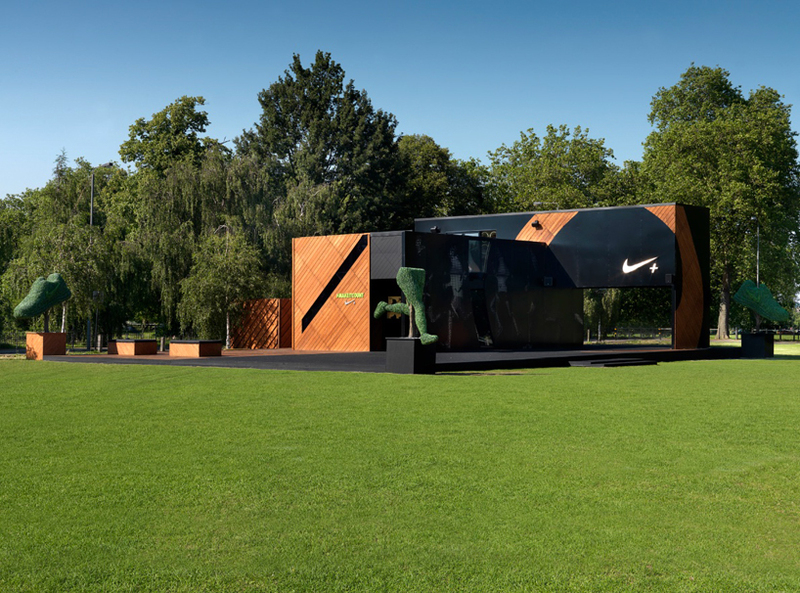 visuals of runners are diamond cut into the solid steel elements of the exterior forming a montage of local athletes, while plasma screens on the interior house the nikefuel stream.